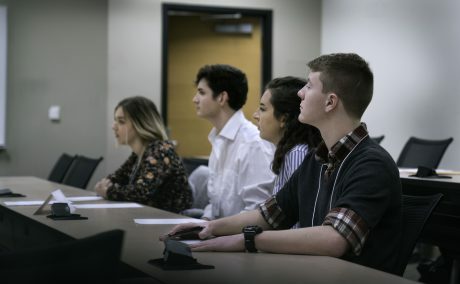 The 7th Annual Arkansas High School Ethics Bowl will take place on Feb. 2, 2019! 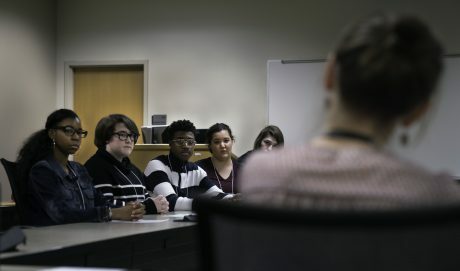 The Department of Philosophy and Interdisciplinary Studies at UA Little Rock hosts the annual Arkansas High School Ethics Bowl. The 6th Annual bowl took place on January 27, 2018, and featured a keynote address from Dr. Claire Katz (Texas A&M University). 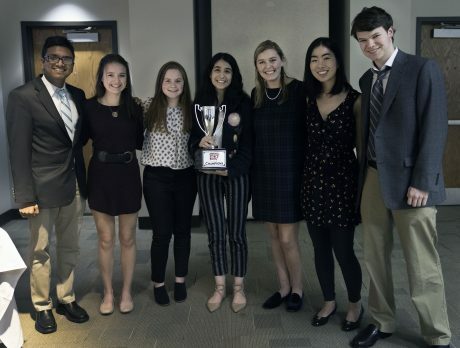 Congratulations to Little Rock Central High School (pictured below), who won the bowl and will advance to compete in the National High School Ethics Bowl. The Future School of Fort Smith took second place, and Valley View High School (Jonesboro) came in third. New to the High School Ethics Bowl? Click here for more information! The 2018 Spirit of the Ethics Bowl Award – awarded by a vote at the conclusion of the competition each year by all of the participating students to the team that best embodied the Ethics Bowl’s spirit of civil discourse, collegiality, and collaboration – went to Bearden High School (pictured below). Other schools participating in 2018 included Bergman High School, Bryant High School, Conway Christian School, Dardanelle High School, Decatur High School, Kingsbury High School (Memphis), Maumelle High School, Northside High School (Fort Smith), and Robinson High School (Little Rock). 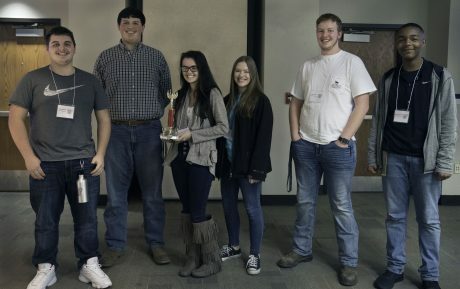 The 2018 Arkansas High School Ethics Bowl was supported in part by a grant from the Arkansas Humanities Council and the National Endowment for the Humanities, as well as a generous donation from the Better Business Bureau Serving Arkansas. What is an Ethics Bowl? 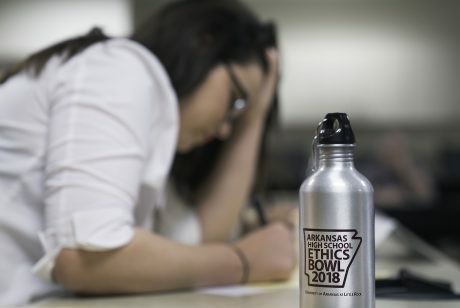 Registration for the 2019 Arkansas High School Ethics Bowl is now open! Fill out this form to register. The registration deadline is November 30. Please contact the bowl organizers with any questions – especially if this year will be your first year participating in the bowl. The 2019 Bowl takes place on February 2. 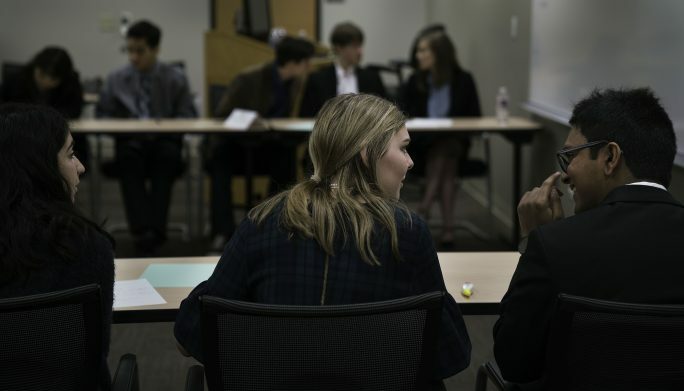 All participating schools need to register both with the UA Little Rock Department of Philosophy and Interdisciplinary Studies (using the link above) and with the National High School Ethics Bowl organization (using the link below).